Come check out our newest luxury listing and fall in love with your new oceanfront lifestyle. Ocean Vistas #308 is now for sale and offers two bedrooms, two bathrooms, and nearly 2,400 living square feet. This is a Catalina floor plan that has a convenient den that can be used as a third bedroom, game room, theater and more. Both owner’s suites are beachfront and have balcony access to the oceanfront outdoor living space with built-in grill. Cook fantastic meals inside from a gourmet kitchen featuring hardwood cabinetry, stainless steel appliances, a chef’s island, and granite counters. 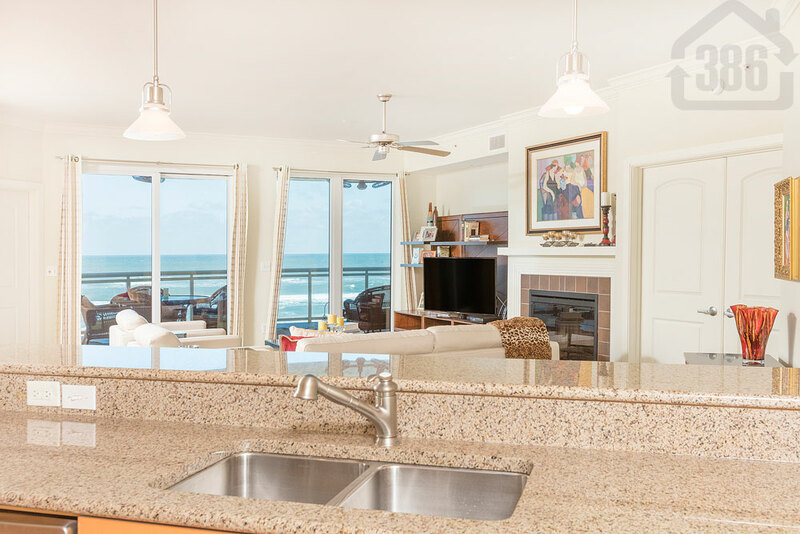 There are many fine adornments in this condo home and you will also enjoy an array of community amenities that include a large swimming pool and tropical sundeck, an oceanfront fitness facility, a clubroom with billiards, and more. Call (386) 527-8577 for a showing today!